Thinking about launching live chat into your contact centre? 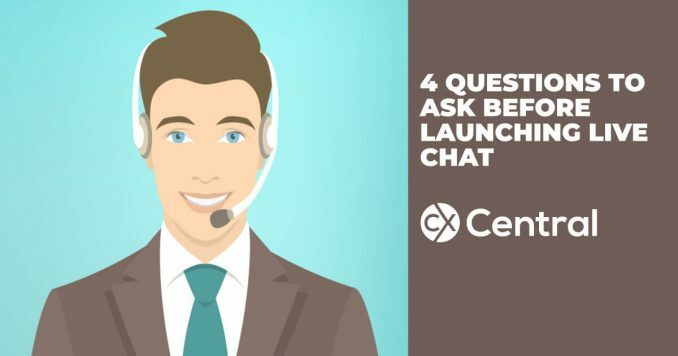 Are you thinking about launching live chat in your business? If youre not already, you should think about it soon. Live chat is a quick and easy option for customers to access support when online. On the sales front, Forrester data reveals that site visitors who use web chat are 2.8x more likely to convert than those that don’t. Customer Think predicts live chat is expected to grow by as much as 87% in the next 12-18 months. ICMI research suggests that more than half of all customers prefer to chat with someone in real-time and online, rather than call a company for support. We increasingly expect to see chat channels dealing with simple queries, while saving actual phone calls for complicated, lengthy, data-sensitive or personal issues. That said, I helped a building society with launching live chat last week to open accounts, access account information and securing handle some saving and lending activities. However, it can be daunting to offer chat for the first time. 1. What will the uptake be? First, consider your customer base. At risk of stereotyping, there is research to suggest that the younger generations (Gen X, Gen Y/Millennials) will use a chat option more readily than the more traditional Baby Boomer (b. 1940-1960) demographic. Indeed, an absence of a chat offering to younger customers is now increasingly considered unhelpful and outdated. It could be costing you customers. Millennials are 20% more likely than baby boomers to prefer live chat, citing convenience and limited hold time as their top reasons for using live chat. 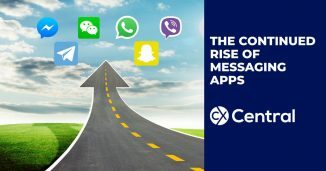 To predict how popular the chat feature will be, consider how effective your current social customer service and self-service strategies have been. If you have had customers requesting support via these methods or posting in online communities and forums then it is likely they will use a chat feature. Furthermore, if your self-service FAQs, videos and tutorials are already in place then this makes providing effective chat even better. Creating Quick Links to these videos etc. is really helpful, and customers will use the chat feature as a helpful signpost. It’s also important to think about the pre-chat form and the information you will request from customers (or not) before you accept the chat. It is helpful to gather information from the customer to link to any existing records in your systems (this is vital if you are going to create a seamless omnichannel experience), and to route types of chats to agents with specific skill sets, if required. Remember, in any channel, the most important things that customers need and want from your agents are KNOWLEDGE and SPEED, so give them the tools to be able to deliver on those. However, inputting too much information upfront may reduce chat utilisation and drive customers to pick up the telephone. This is the case especially when the pre-chat form isnt optimised for mobile. When we note that the average cost of a telephone call is £5 versus £2 for a chat, it makes sense to encourage the use of chat, not discourage it. 2. What types of questions will we be asked? Analyse your current types of contact to anticipate the questions that will be asked during a chat interaction. Naturally, I always recommend removing as much of the repetitive and avoidable contact as possible at the root cause, either by improving the customer journey or pushing better quality information through the website/FAQs, after-sales support, etc. 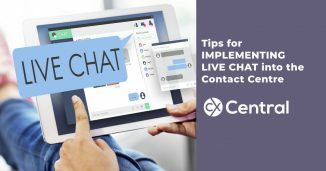 The goal of the chat should NOT be to create and handle more contact opportunities  but rather to simplify the customer experience and reduce effort. Remember that the best service is when the customer doesnt need to contact you at all! 3. How many staff will we need to resource it? Usually with experience and effective use of personalised responses and quick links, agents can confidently and competently handle up to three chats at any one time. Most contact centres have no shortage of telephone agents wanting to improve their skills in chat. It can provide a welcome break from telephone work, which can be intense and draining. Agents also report that they find dealing with difficult conversations much less stressful in chat, as the abrupt verbal tone is silenced in text, which helps to make it less emotive to receive. It is essential to assess the spelling, grammar and typing speed of those wanting to work on chat and to create a core team as well as an overflow team who can take chats if the volumes spike. Alternatively, you could consider training up more people and having a rotational shift pattern, either changing between channels on different days or working to a system of two hours on the telephone, two hours on chat, two hours on email, etc. This can provide a nice variety for agents and make the time pass much quicker. If you havent already considered remote working as an option, live chat may be a great way to facilitate it. Proven to solve recruitment headaches and attract even better calibre candidates, homeworking is a great way to boost employee engagement and offer out-of-hours support. Moreover, it makes holidays such as Christmas and New Year more appealing for staff to work as they can do it from home. The lack of audio on chat eliminates such concerns. And as Live Chat is based on random arrival, you can use an Erlang Calculatorator to determine who many agents you need to handle the volumes and meet your prescribed Service Levels – download a calculator here. 4. How do we train them? It goes without saying that spelling, grammar and tonality are important for the chats to reflect well on your brand. There should be consistency with your image, for example, are you a please or pls type of organisation? Do you want words like cool and fab in your chats or would you err on the side of formality and prefer great, fabulous and brilliant? And what about the use of emojis? In this day and age in a real-time digital channel, it makes sense to use plain English and avoid stuffy, verbose language. You might use apologies kind regards and dear in an email or letter, but for digital channels sorry thanks and hi are much more relaxed and modern alternatives, even for the most prestigious of brands. One of the best ways to get clarity here is to work with your marketing or PR department and channel your brand style guidelines into training material. Use examples of the types of questions you expect to receive, let the agents practise writing responses and coach them to the style you require. Train your agents to know how to deal with complaints in chat, and prepare them for shifting the chat into a telephone call if needed. This may be at the customers request, or, if it is becoming complicated or heated, the agent can offer it as an escalation method. Empower your agents to be able to take themselves offline and make an outbound call if they deem it necessary. Chat logs should be evaluated against your Quality Framework in the same way as call recordings. Either your agent can self-select some chat logs or managers can randomly pick a few to review and evaluate together. Are they correct in terms of compliance (data protection, security, etc. ), knowledge and information given and the language and tone that the chat was held in? How could it be even better? What would they do differently next time? These coaching sessions are great to reinforce excellent work and to identify training needs. The insight that can be gathered from these conversations about themes, issues and blockers in the customer journey can be priceless. Finally, launching live chat should be part of an omnichannel strategy. Offering customers a choice about how they do business with you is an important mantra. I may find it more convenient to chat and call one day and then email and tweet the next. All my interaction history should be joined up in one view for each agent to see past engagement. As you debate the pros and cons of any digital customer service solution, it’s useful to remember that it’s not about whether your organisation feels able and ready to deliver service via chat but instead whether your customers expect it. 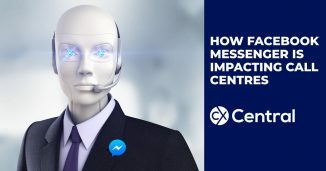 We explore how Facebook Messenger and chatbots are impacting call centres with more automation reducing the needs for a live call centre agent. With Facebook now launching their Chatbot service expect this to escalate rapidly.